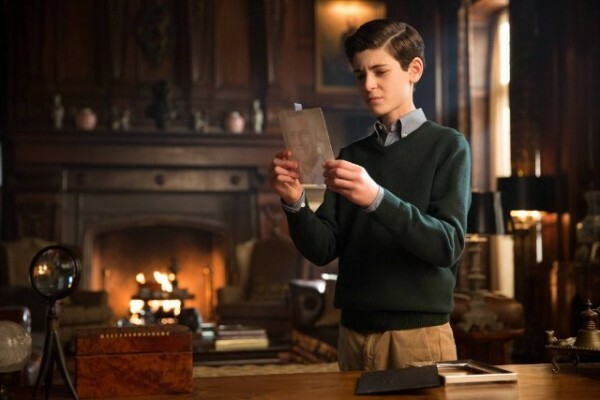 So Gotham season 1 episode 22 presented us with the season finale, and it was pretty weird, but did its job with closing up a few story arcs, and opening up a number of others. This show has problems, that’s for sure, but I have faith in season 2. So let’s discuss Gotham season 1 episode 22! First of all I would like to thank the Gotham writers for killing off Fish Mooney. There were brief moments when I enjoyed her character, but she was just way too over the top most of the time for my liking. 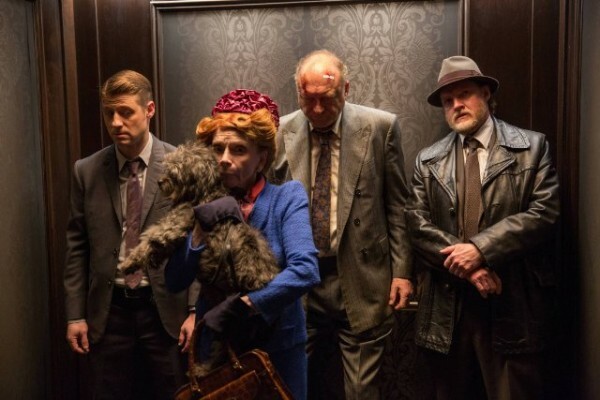 With her death, and Maroni’s death and Falcone’s ‘retirement’, Penguin is the top boss of Gotham. This will be interesting to see in season 2, and with a number of characters gone like Fish Mooney, hopefully Gotham can become a little more focused. With too many key players, the stories went all over the place sometimes. But now that Penguin is all that’s left, I’m expecting next season will be a lot more focused instead of having a million different story arcs surrounding Fish, Maroni and Falcone. Next up, let’s talk about Jim Gordon. In season 2 I think the writers need to make this guy’s mind a little more clear to get. What are his moral boundaries? Sometimes he is completely adverse to killing, next minute he is shooting a bunch of mob guys in the head. One minute he is completely against any bad guys running Gotham, then he becomes okay with it. Sometimes his motivations and sense of morality are unclear, because his character is written all over the place. This is a problem that needs to be addressed in season 2. Another thing they need to figure out in season 2 is, what the heck are they doing with Barbara’s character? Was the plan always to make her a psycho? It’s all very strange how they have developed this character. Finding out a bit about her destructive parents was good, I’m starting to get a Gone Girl feel from her character, which could be good, if handled right. It’s important to explore her character’s past and how/why she is the way she is now, not just be like, hey she’s a psycho now, and leaving it at that. Also in season 2, I hope they show more Bruce. At first, I found the that too much of his character was useless, now things have started getting interesting. Why did Thomas Wayne have his own Batcave???? Ooooh how intriguing. There has genuinely been a good lead up to this plot, surrounding the mystery behind Thomas Wayne. For a TV show based on one of fiction’s most known characters, it is hard to keep the mystery up, we all know Bruce’s fate. But the mystery behind Thomas Wayne is something we don’t know, so it will be interesting to see what they do with that story arc in season 2. Last up is The Riddler. 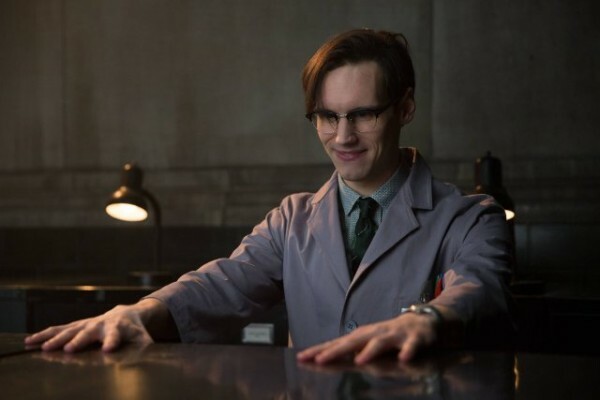 The season 1 finale of Gotham set up Riddler as presumably one of the main villains of season 2. That scene with the voices in his head was pretty creepy, although I’m just hoping we don’t get a Jim Carey Riddler in season 2. The Riddler is at his best when he is cool, calm and collected on the outside (yet weird and whilst plotting away in the inside), and cracks rarely (like when Batman is around). So as long as they don’t go too crazy with his character, he could be a really great antagonist for season 2. Overall the Gotham season 1 finale was definitely interesting, but I’m not sure if it was good interesting, or bad interesting. But with a few changes, season 2 can be a lot stronger, the writers just need to figure out who to focus on, and flesh out these characters a little more. Although this show may not be up there for me like ‘The Flash’, I’m still curious to know what season 2 has in store. The Flash 1×21 Discussion: Grodd is good. You really think Fish Mooney is dead? She fell off a building into the river. That’s comic book for “we want you to think she’s dead, but she’ll be back in a shocking twist that everyone will see coming.” I’m not trusting it until I see her body with mismatched eyes open and still.